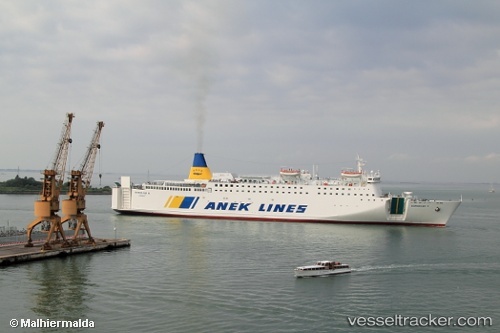 The ferry service between the Dominican Republic and Puerto Rico will be resumed by the "Kydon" on June 1 after the allsion of the ferry with the port wall at Santo Domingo. Repairs were carried out so far that a ferry service is again possible. However, the damaged ramps must still be replaced, as a repair was not possible at the Don Diego Cruise and Cargo Terminal. Until new ramps have arrived, the defective ramps remain closed. The loading and unloading can only be done on one side with the remaining two flaps. In four months, new ramps will arrive and replace the damaged ones.